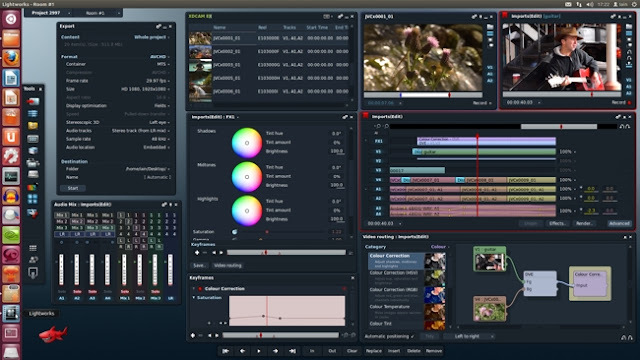 Looks like Lightworks for Linux Beta is Almost here! Video editing software are not a rarity in Linux. OpenShot and Kdenlive are two good examples. But when it comes to professional grade video editing software, Linux lacks good alternatives. But according to redshark news, that is all going to end now. Lightworks for Linux is not a distant dream anymore. It seems like the first beta release of Lightworks for Linux is almost here. Here's a live video demo of Lightworks running on Ubuntu. As we have noted earlier, Linux is going through a golden phase in its lifetime. Many of its derivatives are hugely popular among users and all of a sudden major software vendors are starting to show interest in the platform as well. Steam for Linux is a perfect example. And a lot of it has to do with the popularity of Ubuntu. Bug #1 may not be fixed soon, but we're surely on our way. Excited about Lightworks for Linux release? Share your thoughts.